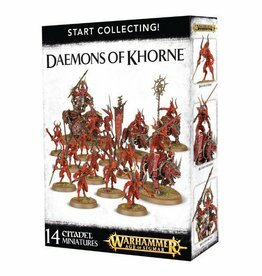 Korghos Khul commands no mere army, but a legion of bloodthirsty murderers. 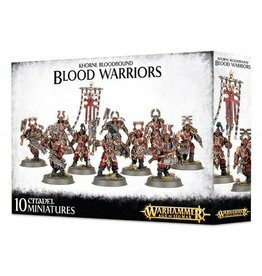 United under his banner, the Goretide have slaughtered indiscriminately – helped in no small measure by the presence of Bloodsecrators, who drag their master’s icon to every corner of the Mortal Realms, there to rip open the fabric of reality and allow the red-hot wrath of Khorne himself to send the followers of the Blood God into apoplectic battle-rage. 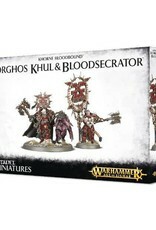 This multi-part plastic kit contains the components necessary to assemble Korghos Khul, terrifying Chaos lord of the Bloodbound and a Bloodsecrator, icon bearer and conduit of the fury of Khorne. 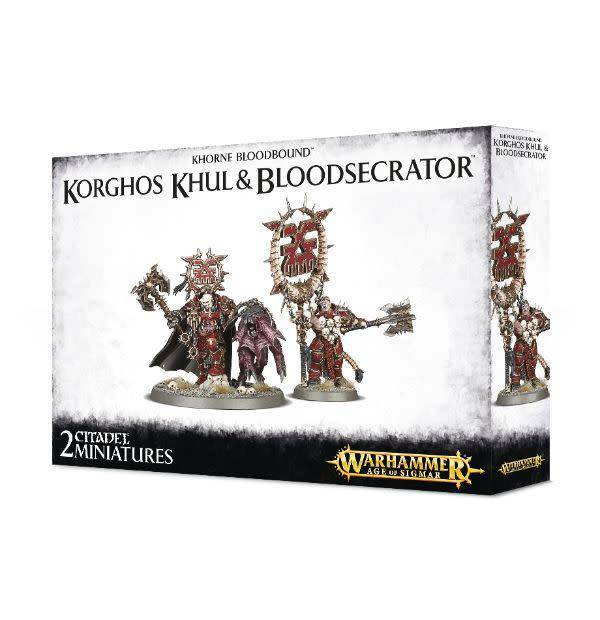 Korghos Khul is accompanied by his faithful yet terrifying Flesh Hound of Khorne, straining at the end of a pair of chains; he himself is an impressively detailed miniature, bedecked in brutal armour with symbols and signs of Khorne all over. He clutches an Axe of Khorne. 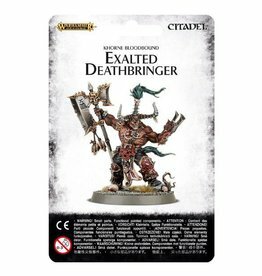 The Bloodsecrator model is dominated by the enormous icon he carries along with his four-bladed Ensorcelled Axe – his armour is also covered in Khornate symbols, but he appears to have more of a taste for skulls, being covered as he is in the glorious bounty of Khorne; at least 10 skulls adorn him. His exposed head contains a wealth of detail – look closely, and you’ll see that his ponytail isn’t quite what it seems… The model can be used as any warlord of Khorne - he’s the ultimate example of a bloodthirsty Khornate disciple. 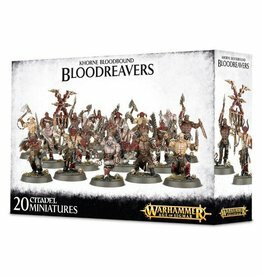 The 2 miniatures are supplied as 18 components, and come with 1 Citadel 60mm Round base and a Citadel 32mm Round base.